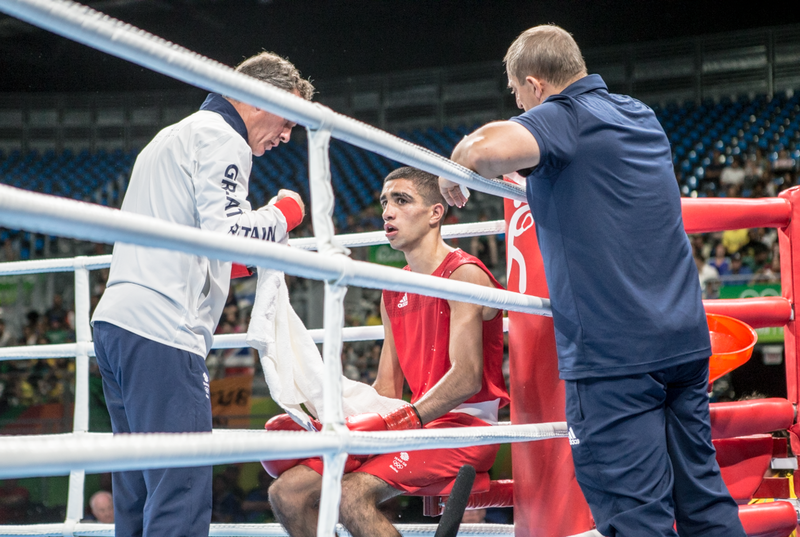 The youngest member of GB Boxing’s 2016 Olympic team and number five seed in the flyweight category is out of the tournament. Muhammad Ali was up against Yoel Finol of Venezuela in today’s afternoon session. The opening round saw great success from Ali who came out on the front foot. The second round was a frustrating round for Ali who felt his opponent wasn’t allowing him to box as he kept holding. In the third round Ali was losing on the score cards and needed a big round to be in with a chance of securing his place in the quarter finals. The closing round saw Ali in pursuit of Finol, who the referee continued to warn for holding. Winning by unanimous decision was Venezuela’s Yoel Finol as the 20-year-old from Bury is eliminated from the competition. Ali said: “I’ve been waiting around waiting to box and watching everyone else and I let that get the better of me. I was in there and nothing was flowing and I couldn’t get a rhythm going. Tomorrow is a busy day for Team GB as three out of the four boxers remaining in the contest are up. First up in the afternoon session is 51kg Nicola Adams at 1500 GMT who looks to defend her title in the women’s flyweight contest. Competing in tomorrow’s evening session is light heavyweight Joshua Buatsi at 2230 GMT, he’s looking to change the colour of his medal from bronze to possible gold. Following immediately after at 2245 GMT is super heavyweight Joe Joyce who is boxing in the quarter finals and looking to guarantee himself at least a bronze medal.